Campus Crest Communities, Inc., a leading developer, builder, owner and manager of high-quality student housing properties, and Beaumont Partners SA (“Beaumont”) have entered a joint venture partnership that acquired the 711 room, 33-story Delta Centre-Ville Hotel in downtown Montreal, Quebec with plans to convert it into an upscale student housing tower. Situated above the Square-Victoria Metro Station stop, the Montreal acquisition offers easy access to McGill University, Concordia University and L’Ecole de Technologie Superieure (ETS), a part of the Universite du Quebec network, which collectively serve more than 81,500 full-time students. 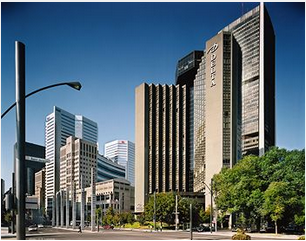 The property is located in the heart of downtown Montreal, within walking distance of Old Montreal, the Bell Centre sports and entertainment complex, the Central Train Station and numerous dining and cultural attractions. Once complete, the property will feature high-end appointments and expects to attract undergraduate and graduate students offering an upscale housing alternative with modern, attractively furnished rooms and a range of amenities including a media lounge, fitness center, library and a technology center. Ample common areas including numerous study lounges will be designed to accommodate social and academic interaction. To foster a sense of community and promote resident engagement, the property will regularly host a variety of activities. Residents will be served by a highly trained, professional staff that includes a general manager, leasing manager, community assistants and a courtesy officer for security purposes. As part of the joint venture agreement, Campus Crest will serve as property manager. In addition to marking Campus Crest’s entry into Canada, the project is the Company’s second urban, high-rise development. In February, Campus Crest announced a joint venture partnership to develop a 33-story, 850-bed student housing tower in University City, Philadelphia, targeted for completion in the fall of 2014. The joint venture, which is owned 20% by Campus Crest and 80% by Beaumont, paid approximately $60 million for the property, including closing costs, fees and reserves. The partnership expects to obtain redevelopment financing later this year to fund the conversion of the hotel into an upscale student housing tower featuring a mix of single and double units. The redevelopment of the tower is slated to be completed for the fall of 2014, with leasing to begin in the fall of 2013.